The background is red. 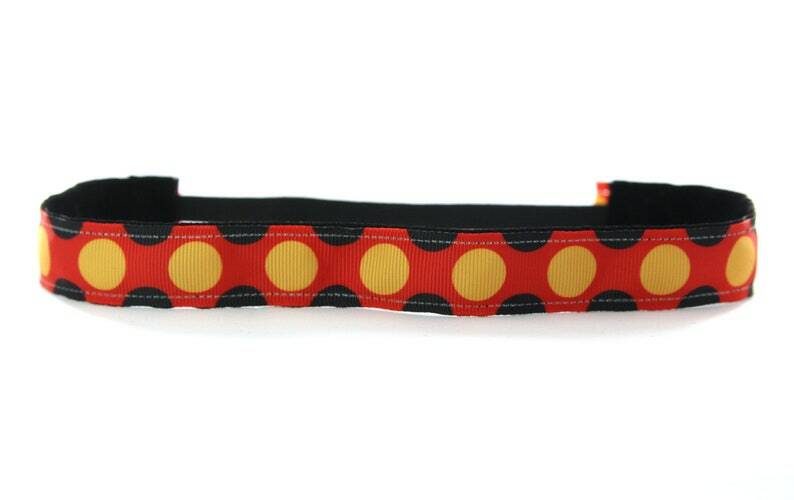 It features black and yellow dots inspired by everyone's favorite mouse. The velvet lining is black.